Taku Furukawa is one of the Sōgetsu generation of animators who came to prominence at the Sōgetsu Art Centre animation festivals of the 1960s and 1970s. Initially mentored by indie animation pioneer Yōji Kuri, Furukawa soon founded his own studio and developed an animation style all his own. He has a caricature style that is influenced by renowned New Yorker caricaturist Saul Steinberg, with a playful approach to animation that is one of a kind. In addition to being a member of ASIFA Japan, he is currently the president of the JAA (Japan Animation Association), which he took over after the passing of stop motion master Kihachirō Kawamoto. In addition to his independently produced works, Furukawa is famous for his numerous contributions to the long-running NHK series Minna no Uta as well as his commercial work. He is visiting professor at Tokyo Polytechnic where he has mentored many students, including two of my favourite animators – Hiroco Ichinose and Tomoyoshi Joko, aka Decovocal. Earlier this year, Furukawa’s former students made a tribute to him called Moving Colors (2016). Click on titles below to read reviews of individual films by Furukawa. This selection features a cross section of top contemporary Japanese animators with established careers. 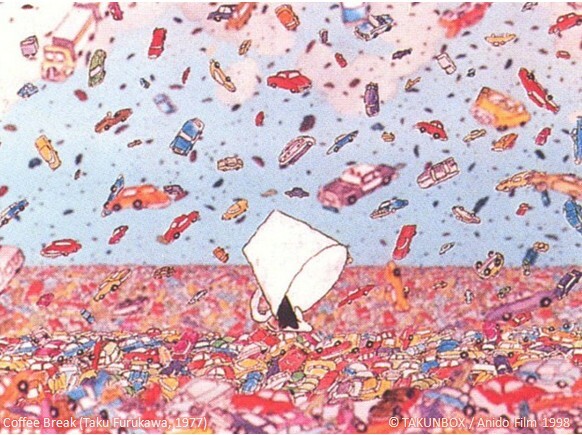 Hyogo-born, Kansai-raised Maya Yoneshō is based in Germany and is famous for her mixed media approach to animation. Her work shows us that animation can be a kind of international language and with her workshop students she has created a series of Daumen Reisen (literally “Thumb Trips” – a term suggested to Yoneshō by an Austrian friend) – animated post cards against city backdrops based on flip books (Daumenkino/"Thumb cinema" in German). Each of these short films is an hommage to the places where the workshops are taking place. The first such film she made by herself – Vienna Mix, or Wiener Wuast in the local, Viennese dialect. Shin Hosokawa is a graduate of Tama Art University (Tamabi) who specialises in stop motion animation. 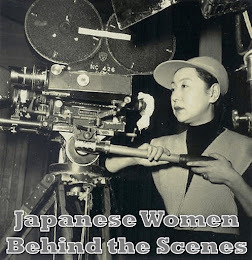 Hiroco Ichinose and her husband Tomoyoshi Joko (Joko is not included in this screening) are graduates of Tokyo Polytechnic University where they were mentored by Taku Furukawa (see above). They currently work under the collective title Decovocal making commercials and TV programmes. Kaoru Maehara is a graduate of Kyushu Visual Arts College. Like Hosokawa, Kanna Iida is also a Tamabi grad but she specialises in drawn animation. Reiko Yokosuka is a talented sumi-e (ink brush) artist who makes animation using her modern take on traditional sumi-e style. Read her profile here or check out her homepage. Kunio Kato was the first Japanese person to win the Oscar for Best Animated Short Film. A graduate of Tamabi he works for Robot Communications. Taruto Fuyama is a graduate of Keio University and is known for the development of his own stop motion animation software called Koma Koma as well as his stop motion animation workshops. Frank, an adapation of Jim Woodring’s cult comic series Frank, is Fuyama’s best known work. Kei Oyama studied animation at Tokyo Zokei and at the Image Forum Institute of the Moving Image. He is known for his unusual style of using scanned flesh for the textures in his often surreal films. Hand Soap is his most acclaimed film to date. Kei Takahashi has a BA in Oil Painting from Musashino and a graduate degree in Video Art. This selection features more top contemporary Japanese animators with established careers, as well as a couple of lesser known names. Ayaka Nakata is a graduate of Tokyo Zokei who makes independent animation and commercials. In addition to animation, Yuki Sakitani is a videographer and visual effects composite artist. Atsushi Wada is one of Japan’s top independent animators. He is a self taught animator who refined his skills first at Image Forum, then in the first class of Tokyo University of the Arts’s (Geidai) graduate programme in animation. He has won many international prizes for his work, most notably the Silver Bear at the Berlinale in 2012. Learn more about him in my review of his CALF DVD and in this 2010 interview. Wataru Uekusa is also a Geidai grad, as is stop motion animator Mari Miyazawa (Geidai 2014). With her minimalist aesthetic, Yoriko Mizushiri has been a popular addition to international festival programmes in recent years. Mizushiri studied at Joshibi University of Art and Design. Tama Art University (Tamabi) grad Yoko Kuno has been wowing audiences both online and at festivals with her innovative animated music videos for Cuushe. 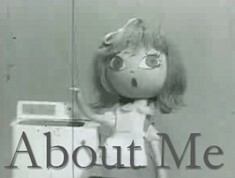 Arisa Wakami dabbles in a wide variety of animation techniques from sand animation to stop motion. Tamabi grad Mirai Mizue has also tried out a number of techniques but is mostly famous for his “cell” animation style. Learn more here. Daiki Aizawa is also a Tamabi grad. Loop Pool was his graduate work. He mostly makes digital content for various clients – I am guessing he was included in this line up because he is a member of ASIFA Japan, of which festival director Sayoko Kinoshita is also president. In preparing these blog posts I have noticed that most members of ASIFA Japan appear to have been included in the Hiroshima 2016 screenings. 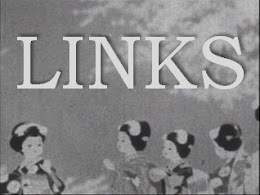 I am not familiar with the work of Takashi and Motoko Tokuyama, but their 1992 work Paralysis, which was shot on 16mm screened at the 2015 PIA festival. They do not have a web presence at all so it is a bit curious that they were included in this particular selection instead of one of the "history" sections. Mai Tominaga (Tamabi) is a multi-talented artist who has also directed some quirky feature films such as Wool 100% (ウール100％, 2006), Have a Nice Day (ハヴァ、ナイスデー, 2006) and one of my faves Rinco’s Restaurant (食堂かたつむり, 2010). Her animation has featured on the NHK and she has also directed commercials and live action TV drama. Seiji Shiota is a freelance artist based in Osaka. Tohru Patrick Awa is a character / concept designer who was born in Santa Monica but raised in Tokyo and has been based in California since 2001. 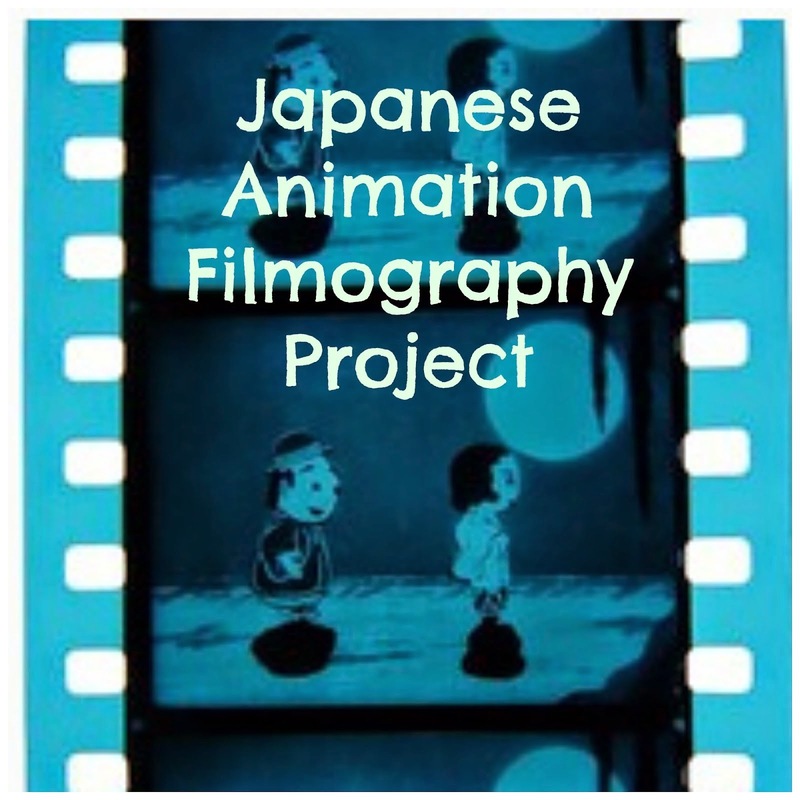 He has worked for Disney and Warner Brothers (Learn more at Japan Cinema). The Fly Band! is a short work Shiota and Awa made for Polygon Pictures early in their careers. It won the Prix Ars Electronica 1999. Keita Onishi has an MA in Design from Geidai. He is known for his video and audio installation works. Koichiro Tsujikawa makes commercials and music videos in addition to his independent work. He often mixes live action with animation. Isao Nishigori is a visual artist who does music videos, installations and other works pairing visuals with music. 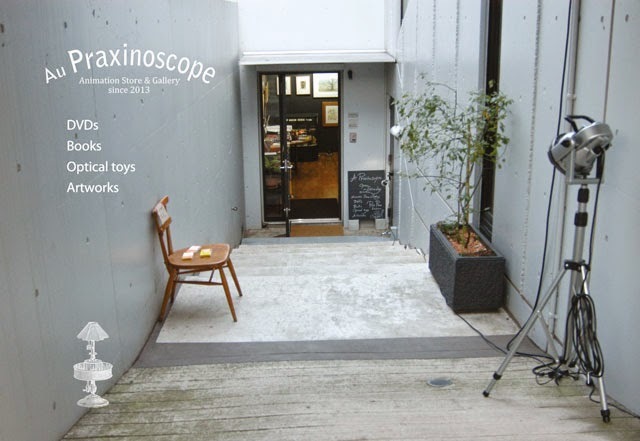 Atsushi Makino studied graphic design in Prague before doing a graduate degree in animation at Geidai (2011). He works as an animation director for Eallin Japan. I’m not sure why Ko Nakajima is in this selection. He should have been put into a programme with experimental animators of his own generation (Nobuhiro Aihara, Takashi Ito, et al.) – he began experimenting with animation in the 1960s. His work focuses on technological development and environmental concerns. The Higa brothers (Kazutetsu and Yukinori Higa) are from Okinawa. They are known for their passion for special effects (they are huge fans of Ray Harryhausen and David W. Allen) and puppet animation. Yūichi Itō and Takuya Ishida are two of the top stop motion animators working in Japan today. Mainly known for his clay and puppet animation, Itō works with a variety of media. In addition to his work for the NHK and his independent works, Itō is a professor at Geidai. Ishida is known as an expert in clay animation. Acclaimed 3DCG animator Hiroyuki Okui is a graduate of Musashino. I am not familiar with Yoshiyuki Okada, his co-director on Cave, and couldn't find any inforamtion about him online, but they jointly won recognition for the film at Hiroshima 1994. This selection of contemporary directors features a mixture of generations, all of whom have become associated with certain styles of animation from CG to hand made puppet animation. Hiromi Habuto is Nara-based CG designer and director. Saku Sakamoto is a Tamabi grad who is a freelance CG animator. I was someone who was slow to warm to CG animation, but his 2002 work The Fisherman made an impression on me at my first Nippon Connection in 2008. Yoshinao Satoh (or Satō) is a Yokohama-based video game maker who makes terrific experimental animation. 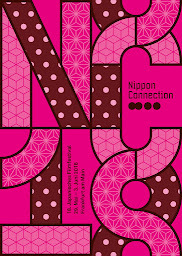 His film Newspaper (watch here) was popular with Nippon Connection spectators in 2015 where it screened in the Everything is Visible programme. He is one of my favourite artists at the moment. Check out some of his works here. Kotarō Satō is a University of Tsukuba graduate who specializes in computer graphics design. 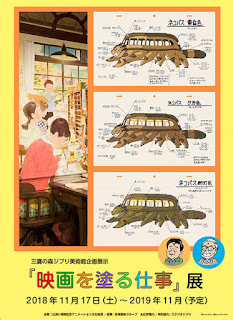 In addition to his short animation works he has taught animation at Tamabi and since 2009 at Kanto Gakuin. He has co-written two textbooks about computer graphics and digital moving images. Pecora’ped (ペコラペッド) are a female animation team whom I met at Hiroshima 2014. In addition to their animation they hand make jewellery and other tie-in products using their unique designs and characters. Saeko Akagi is a Musashino grad who joined Robot Communications after graduation in 2005 as a commercial director. This year, she left the company to concentrate on freelance storyboarding under the name Kibichu. Yuta Sukegawa is a CG animator. His work The Light can be viewed in full on his Vimeo page. Kiyoshi Nishimoto is a professor at Musashino who specializes in Visual Communication Design. He has been a freelance animator since 1981.